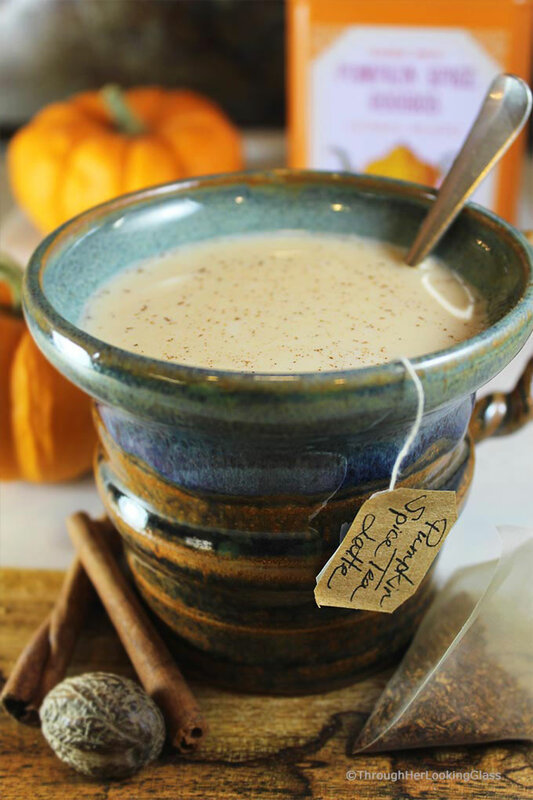 Maple Pumpkin Spice Tea Latte: wrap your hands around this warm, comforting mug of delicious in the cooler months. 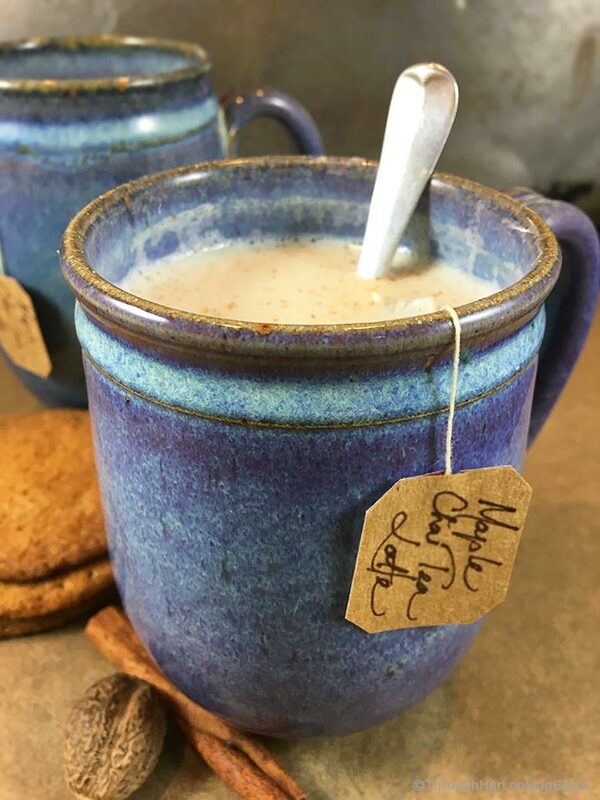 This rich and creamy spiced latte drink recipe uses your choice of milk and pumpkin spice tea. It’s lightly sweetened with pure maple syrup. When the opportunity presents itself to escape for a few hours of quiet and relaxation, run that direction. Run fast. Because you never know when it might happen again. That’s just what we did this past Monday. It dawned a beautiful fall day, and the kids had already headed off to school, so Jon and I made a break for it. To the beach. There was a fall chill in the air when we left mid-morning, so we stopped along the way at Popovers on The Square for a hot drink to go. He ordered a chai tea latte and I a pumpkin spice latte. The lidded cups weren’t marked and Murphy’s law, the drinks got swapped. You should’ve seen the grimace as he sampled my PSL. You’d think it was Drano. Ha ha. A coffee lover he is not. Then he bemoaned the sad fact that no one ever has a pumpkin spice tea latte on the menu. Of course then I got excited… because that’s something I can fix in the world. LOL. 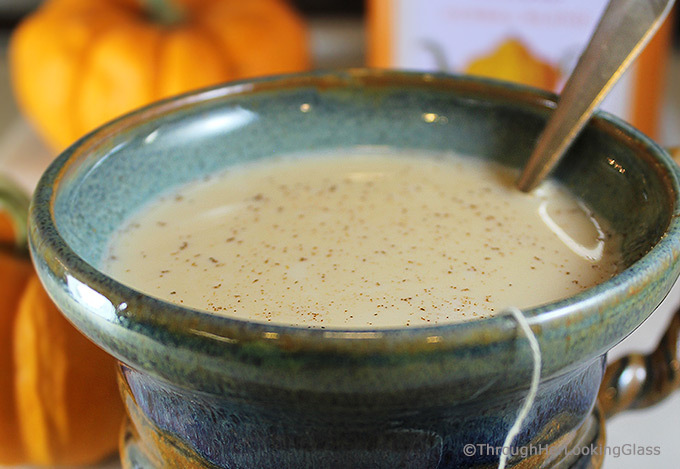 The Maple Pumpkin Spice Tea Latte recipe you see here today is my attempt to right this wrong! The beach was deserted and we took along our furry new sidekick, Chloe. 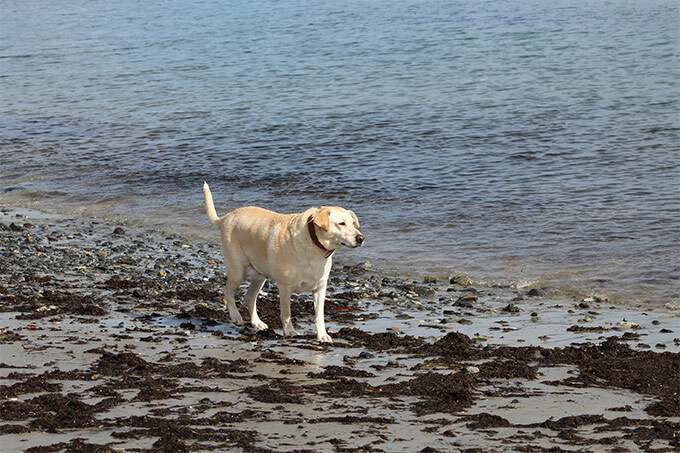 She’s an older rescue dog from the south, and we don’t think she’s ever been to the sea shore before. Following our beach time, we dropped by Trader Joe’s in Portsmouth. (We’re getting a Trader Joe’s near us soon, but not soon enough!) I was delighted to see pumpkin spice rooibos tea sachets in their stellar tea collection. 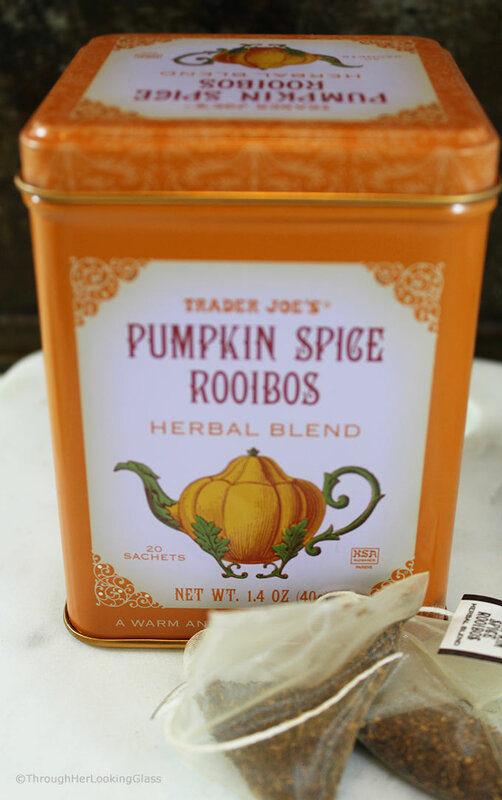 Rooibos tea is caffeine free, FYI, and I picked up a box for this Maple Pumpkin Spice Tea Latte recipe. I checked and Walmart, Target, Harry & David and Amazon all sell various brands of pumpkin spice tea. Some pumpkin spice latte recipes use pureed pumpkin, but I really don’t want to open a can of pumpkin every time I want a pumpkin spice latte, use a tablespoon or two and have to store/refrigerate the rest. (Aka throw it out eventually.) So these pumpkin spice tea sachets from Trader Joe’s fit the bill perfectly for this recipe. The following recipe makes 12 ounces, serves one and is made in a mug. You can multiply the recipe by as many servings as needed and steep in a saucepan on the stovetop. Use pumpkin spice or fall harvest tea bags for this recipe. Control flavor, calorie and nutrition content by using your choice of milk. Steep tea bag/sachet in the hot milk for 5-7 minutes, then discard. For heightened flavor, use less milk or add an extra tea bag/sachet. 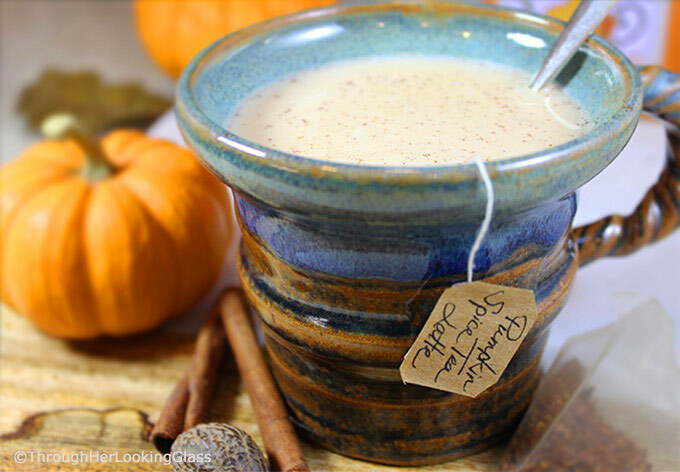 Pour steaming milk over pumpkin spice tea bag in mug and steep 5-7 minutes. Lightly dust with pumpkin spice, ground cinnamon, nutmeg or allspice. Easily multiply this recipe by as many servings as needed and make in a saucepan on the stovetop. Thank you and hope you enjoy Susan, I made a batch of these lattes again tonight. The mug came from Good Will, my friend Tracy saw it and nabbed it! Hand thrown, the price was right - $1, and a "T" carved on the bottom. Big score! 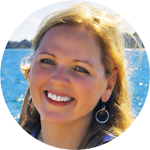 Sounds yummy, Allie-- and thanks for sharing about your and Jon's fun getaway! Chloe is sooooo cute! This latte is AWESOME. Trust Mr. Through her looking glass. He knows. I'd pay at least four bucks for this, but lucky me I didn't even have to leave home. Seriously, this fills a huge gap in the ever-expanding pumpkin spice market. I'd like a cup of caffeine-free pumpkin spice tea latte right now! I have unsweetened almond milk, maple syrup, vanilla extract, and the right spices, but no pumpkin spice teabags! But....I will get them! Sounds delicious! P. S. Chloe is a doll! Such a fun mash-up of two tasty and traditional fall drinks! The pumpkin spice tea was a perfect and creative substitute for the coffee in a traditional PSL, love it! Luci’s Morsels | fashion. food. frivolity. I trust allie and Through her looking glass!! So I must try it even though I am not interested in pumpkin. I have made an hallway sweet with pumpkin and it came delicious. Thus I hope this pumpkin Latte will be nice to taste. It took us a while to find the tea bags locally, but my son and I made these today. Vanilla from Mexico. Maple syrup from upstate New York. Lovely. Warm. Comforting. Thank you for sharing this wonderful recipe. Can't help trying a pumpkin spice tea latter in this cold weather! Thank you for the recipe!! I'll definitely try it!